Read Revelation 6:1-8 along with Leviticus 26:21-26 and Matthew 24:1-14. Note the common key words in these texts. What do you learn about the meaning of the first four seals on the basis of these parallels? The events of the seven seals must be understood in the context of the Old Testament covenant curses, specified in terms of sword, famine, pestilence, and wild beasts (Lev. 26:21-26). Ezekiel calls them God’s “four severe judgments” (Ezek. 14:21, NKJV). They were the disciplinary judgments by which God, seeking to awaken His people to their spiritual condition, chastised them when they became unfaithful to the covenant. In a similar way, the four horsemen are the means that God uses to keep His people awake as they await Jesus’ return. There also are close parallels between the first four seals and Matthew 24:4-14, in which Jesus explained what would happen in the world. The four horsemen are the means by which God keeps His people on the right track by reminding them that this world, as it now exists, is not their home. Though symbolic, Revelation 6:1-2 is about conquest, too. It brings to mind Revelation 19:11-16, which portrays Christ as riding a white horse and leading His heavenly armies of angels to deliver His people at the Second Coming. As a symbol of purity, the color white is regularly associated with Christ and His followers. The rider on the horse holds a bow and is given a crown (Rev. 6:2), which evokes the image of God in the Old Testament, riding a horse with a bow in His hand while conquering His people’s enemies (Hab. 3:8-13; Ps. 45:4-5). The Greek word for the crown (Rev. 6:2) worn by the rider is stephanos, which is the crown of victory (Rev. 2:10, Rev. 3:11). This rider is a conqueror going forward conquering and to conquer. The scene of the first seal describes the spread of the gospel, which started powerfully at Pentecost. Through the dispersion of the gospel, Christ began expanding His kingdom. There were, and still are, many territories to win and many people who have yet to become followers of Jesus before the ultimate conquest is realized with Christ’s coming in glory. Prophetically, the scene of the first seal corresponds to the message to the church in Ephesus; it describes the apostolic period of the first century during which the gospel spread rapidly throughout the world (Col. 1:23). Why must we always remember that, in Christ, we are on the winning side, regardless of our immediate circumstances? Read Revelation 6:7-8. What scene is portrayed here? How is this scene related to the previous one? The color of the horse in the fourth seal is expressed with the Greek word chloros, which is the ashen-gray color of a decomposing corpse. The rider’s name is Death; meanwhile, Hades, the place of the dead, accompanies him. These two are allowed to destroy people by sword, hunger, death, and wild beasts over one fourth of the earth (Matt. 24:7-8). The good news is that the power of Death and Hades is very limited; they are given authority only over a part (one fourth) of the earth. Jesus assures us that He has the keys of Hades and Death (Rev. 1:18, NKJV). Review once again in Revelation 2, the contents of the messages to the churches in Ephesus, Smyrna, Pergamum, and Thyatira. Compare the situation in those churches with the scenes of the opening of the first four seals. What parallels do you observe between them? The scenes of the seven seals portray the future of the church. As was the case with the seven churches, the seals correlate to the different periods in Christian history. During the apostolic times, the gospel rapidly spread throughout the world. This expansion was followed by the period of persecution in the Roman Empire, from the end of the first century to the beginning of the fourth century, as portrayed in the scene of the second seal. The third seal points to the period of compromise of the fourth and fifth centuries, which was characterized by a spiritual famine caused by a lack of the Bible and its truths, leading to the “Dark Ages”. The fourth seal aptly describes the spiritual death that characterized Christianity for nearly a thousand years. Revelation 6:6 states that “the oil and the wine” will not be affected by the famine of the third seal’s plague. Oil symbolizes the Holy Spirit (1 Sam. 16:13, Acts 10:38), and new wine salvation in Jesus Christ (Mark 2:22). What do the meanings of these symbols tell us about the fact that, even when the Word of God is scarce, the Holy Spirit is still at work and that salvation is still available to all who seek truth? Read Revelation 6:9-10. What is happening here? The word “soul” in the Bible denotes the whole person (Gen. 2:7). The martyrdom of God’s faithful and persecuted people is portrayed here in terms of the sacrificial blood poured out at the base of the earthly sanctuary’s altar of sacrifice (Exod. 29:12, Lev. 4:7). God’s people have suffered injustice and death for their faithfulness to the gospel. They cry out to God, asking Him to step in and to vindicate them. These texts concern the injustice done here on earth; they are not saying anything about the state of the dead. After all, these people do not appear to be enjoying the bliss of heaven. Read Revelation 6:11 along with Deuteronomy 32:43 and Psalm 79:10. What was heaven’s response to the prayers of God’s martyred people? The martyred saints were given white robes representing Christ’s righteousness, which leads to their vindication - His gift to those who accept His offer of grace (Rev. 3:5, Rev. 19:8). Then, they were told that they would have to rest until their brothers, who would go through a similar experience, are made complete. It is important to notice that the Greek text of Revelation 6:11 does not have the word number. Revelation does not talk of a number of the martyred saints to be reached before Christ’s return, but of completeness regarding their character. God’s people are made complete by the robe of Christ’s righteousness, not their own merit (Rev. 7:9, 10). The martyred saints will not be resurrected and vindicated until the second coming of Christ and the beginning of the millennium (Rev. 20:4). The scene of the fifth seal applies historically to the period leading up to, and following, the Reformation, during which millions were martyred because of their faithfulness (Matt. 24:21). It also brings to mind the experience of God’s suffering people throughout history, from the time of Abel (Gen. 4:10) until the time when God will finally avenge “the blood of His servants” (Rev. 19:2, NKJV). “How long, O Lord?” has been the cry of God’s suffering people throughout history. Who has never struggled with the lack of justice in this life? What comfort do you find in the scene of the fifth seal, knowing that one day justice will, indeed, be done? In the fifth seal, we see God’s people suffering injustice in a hostile world, crying for God’s intervention on their behalf. The time has come for God to intervene in answer to the prayers of His people. Read Revelation 6:12-14 along with Matthew 24:29-30 and 2 Thessalonians 1:7-10. What is being revealed here? The last three signs of the sixth seal were foretold by Jesus in Matthew 24:29-30. They were to occur near the end of the “great tribulation” (Rev. 7:14), in 1798, as the harbingers of the Second Coming. As with Christ’s prophecy in Matthew 24, the sun, moon, “stars” (meteors), and sky are literal here. The use of the words “as” or “like” paints a picture of an actual thing or event - the sun became black as sackcloth, the moon became like blood, and the stars fell to the earth as a fig tree drops its late figs. The Christians in the Western world recognized the fulfillment of Jesus’ words in the order of each of these signs: the Lisbon earthquake, in 1755; the dark day of May 19, 1780, (experienced in eastern New York and southern New England); and the spectacular meteor shower over the Atlantic Ocean, on November 13, 1833. The fulfillment of this prophecy, in Revelation 6:12-14 led to a series of revivals and to the realization that Christ’s second coming was near. Read Revelation 6:15-17. Also read Isaiah 2:19, Hosea 10:8, and Luke 23:30. The scenes portray people of all walks of life in a panic trying to hide from the terror of the upheaval at the coming of Christ. They are asking rocks and mountains to cover them in order to protect them from “the face of Him who sits on the throne and from the wrath of the Lamb” (Rev. 6:16, NKJV). The time has arrived for justice to be dispensed as Christ comes “to be glorified in His saints” (2 Thess. 1:10, NKJV). The end of the wicked is described in Revelation 19:17-21. The scene concludes with the rhetorical question by the terror-stricken wicked: “The great day of His wrath has come, and who is able to stand?” (6:17, NKJV; see also Nahum 1:6, Mal. 3:2). The answer to that question is given in Revelation 7:4: those who will be able to stand in that day are the sealed people of God. “Who can endure the day of His coming?” (Mal. 3:2, NKJV). How would you answer that question, and what biblical reasons can you give for that answer? Bring your answers to class on Sabbath. Further Thought: Read Ellen G. White, “The World’s Need”, pp. 457-460, in Testimonies to Ministers and Gospel Workers. “In Scripture there is assurance that God has always cared for His people: that in history itself He is ever present to sustain them, and that in the great eschatological denouement He will give them full vindication and an incomprehensibly generous reward in life everlasting. The book of Revelation picks up and expands beautifully this same theme, and thus Revelation is not by any means some sort of offbeat apocalypse that is out of tune with biblical literature in general; it conveys the very heart and substance of the biblical message. Indeed, as Revelation emphatically points out, the ‘Living One’ - the One who conquered death and the grave (1:18) - will never forsake His faithful followers and that even when they suffer martyrdom they are victorious (12:11), with the ‘crown of life’ awaiting them (see 2:10; 21:1-4; and 22:4)”. - Kenneth A. Strand, “The Seven Heads: Do They Represent Roman Emperors?” in Symposium on Revelation - Book 2, Daniel and Revelation Committee Series (Silver Spring, Md. : Biblical Research Institute, 1992), vol. 7, p. 206. What valuable lessons have you learned from the scene of the opening of the seven seals? How does it show you that, no matter how bad things are on earth, God is still sovereign, and ultimately, all the promises that we have in Christ will be fulfilled? Reflect on the following statement: “The church is God’s appointed agency for the salvation of men. It was organized for service, and its mission is to carry the gospel to the world”. - Ellen G. White, The Acts of the Apostles, p. 9. Think of your local church. How could it be more faithful in order to reach people with the gospel message? In class, bring your answer to Thursday’s final question: Who can endure the day of His coming, and why can they endure? Discuss the implications of your answer in terms of how we should be living today in order to be prepared for the day of His coming. Mourners gathered for the funeral of the young mother at the Seventh-day Adventist church in Milange, a town just 2 miles (3 kilometers) from Mozambique’s border with Malawi. The woman had died of HIV complications just five days after giving birth to a baby boy. Her HIV-positive husband, the boy’s father, had died earlier. The wee baby bawled during the funeral. “He was crying because there was no one to nurse him”, said Clemente Mateus Malala, a 61-year-old farmer, who attended the funeral. Clemente spoke with the baby’s relatives after the funeral and learned that they had little money for milk and diapers. He considered buying the items but worried that the relatives might resell them, so he offered to adopt the baby. The boy, Laston, is now 5 and the youngest of four orphans adopted by Clemente and his wife. They also have four grown biological children. 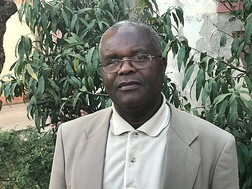 Clemente, who grows green beans and maize on his farm in rural western Mozambique, is an active church member and lay evangelist who has led 430 people to baptism over the past 13 years. But nothing has touched his heart like his four adopted children who lost their parents to HIV/AIDS. HIV/AIDS is a major challenge in Mozambique, and Clemente is among Seventh-day Adventists striving to make a difference. He adopted his first orphan, Rojerio, after seeing the 2-year-old scavenging for food at the roadside. Relatives told him that Rojerio’s parents had died and gladly handed him over when he offered to raise the boy. Clemente adopted the other two children, both girls, in a similar way. Rojerio is now 15, and the two girls are 11 and 8. “The least that I can do is take a few children and feed them in my home”, Clemente said. Clemente longs for an Adventist school where his adopted children can study in Milange. “We as a church are supposed to invest in education to invest in the future of the church”, he said. Part of this quarter’s Thirteenth Sabbath Offering will help build such a school in his town. Thank you for your mission offering.